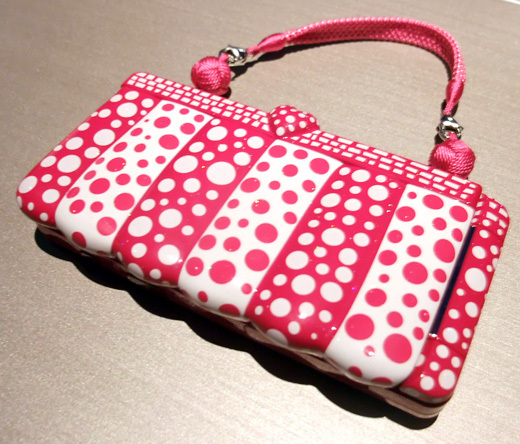 I do wish to get “Hand Bag for Space Travel” – it is a cellphone designed by Yayoi Kusama. Now on sale, the price is 100,000 yen (over 1,000US dollars)!! Faraway for me, yes, it’s like a space travel! OMG my friend got it! 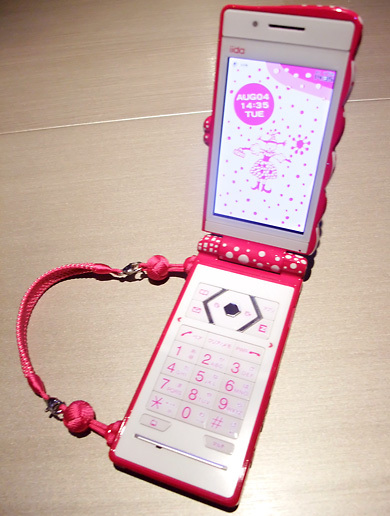 Wow this is so cute… but so expensive! Awesome design. I did not know she did non-art-gallery works. WOW! So cute but so expensive! If you use it in your right hand, how do you keep the carrying strap from whacking your nose and mouth?